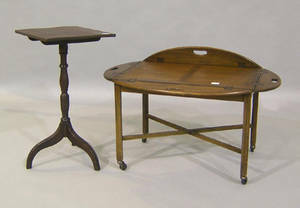 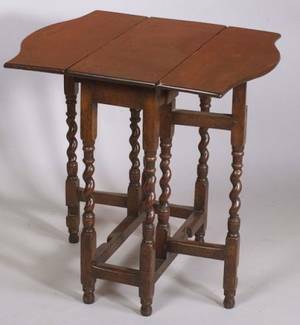 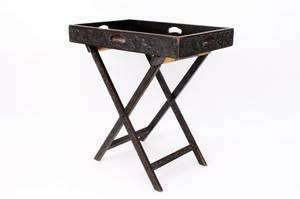 Continental stained oak butlers folding tray table, the whole carved with scrolling foliage, the removable tray top with two pierced carrying handles on folding X framed foliate carved stand. 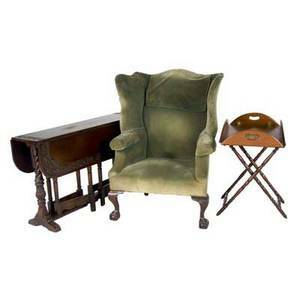 Renaissance revival oak drop leaf table, wing chair with velvet upholstery and ball and claw feet and a butlers tray table. 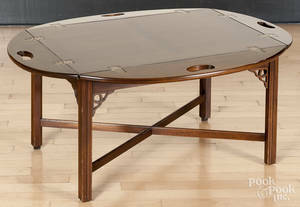 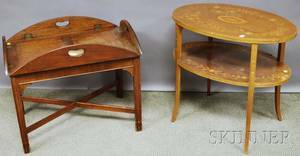 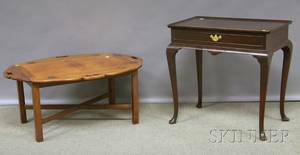 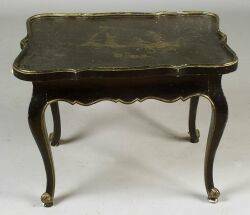 table closed: 30" x 50" x 13"
Chippendale-style Mahogany Butlers Tray Table and an Edwardian Oval Inlaid Mahogany Veneer Two-tier End Table.